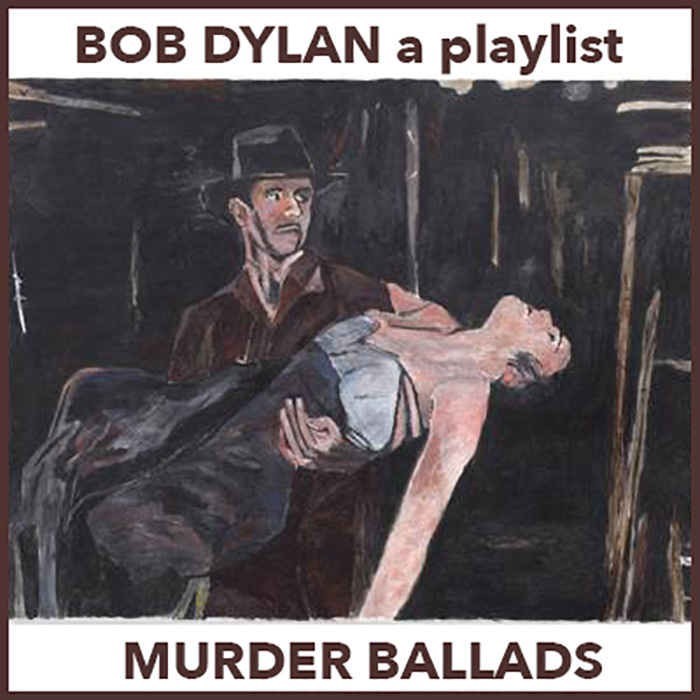 Murder ballads are a sub-genre of the traditional ballad form, the lyrics of which form a narrative describing the events of a murder or a very tragic event, often including the lead-up and/or aftermath. Sometimes but not always the judgement of innocent people. Traditional ballads are independent from broadsheet ballads insofar as the typical broadsheet form does not use the same formulas or structures and is rooted in a literate society: traditional ballads flourished within non-literate groups within society. A broadsheet murder ballad typically recounts the details of a mythic or true crime—who the victim is, why the murderer decides to kill him or her, how the victim is lured to the murder site and the act itself—followed by the escape and/or capture of the murderer. Often the ballad ends with the murderer in jail or on their way to the gallows, occasionally with a plea for the listener not to copy the evils committed by him as recounted by the singer. Some murder ballads tell the story from the point of view of the murderer, or attempt to portray the murderer in a somewhat sympathetic light, such as “Tom Dooley”. A recording of that song sold nearly four million copies for The Kingston Trio in 1958. Other murder ballads tell the tale of the crime from the point of view of the victim, such as “Lord Randall”, in which the narrator takes ill and discovers that he has been poisoned. Others tell the story with greater distance, such as “Lamkin”, which records the details of the crime and the punishment of the criminals without any attempt to arouse sympathy for the criminal. Supernatural revenge wrought by the victim upon the murderer sometimes figures in murder ballads such as “The Twa Sisters” (also known as “Binnorie” or “Minnorie” Child Ballad #10).